I've made available a plugin that allows members to specify their own paypal account and see a simple donate box is placed next to the member profile. Please help me test this new feature and know if it is working as intended. I hope you like it. To test, edit your member profile and visit the "Donate Button" option that now appears there. This option is only available for members above the advanced level. This option is only available for members above the advanced level. Thanks to the new senseless feature an advanced member may decide to "connect" his own paypal account to a "banner" (or whatever) here on reboot.pro so that BOTH NON-advanced and advanced members will be able, IF they choose to do so, to donate to the specific "advanced member. Basically, you (or anyone else) may be so admired by the work/contributions of another member (which must be an "advanced level" one) that you decide that you cannot live without donating him/her a few bucks. Instead of PMing the member asking him/her the info about the paypal account, you will now PM him to ask him/her if he/she will do this connection so that his/her account is "connected". This is most probably done to simplify things, so that we have an additional module on the board that before or later will either break or be made invalid by next release of the board software, since we have now everything under control and each and every feature of the board works perfectly,we are ready to explore new, more complex modules and setups. I need a new emoticon with Pinocchio's nose growing . I'm with Wonko on this one. Perfectly pointless feature, imo. Please read more carefully what was written on the first post. This is a feature that allows some member groups having a paypal box underneath their profile. Initially I see this as a good option for developers and everyone else who participate actively on the community. Hadn't planned to make it available for everyone yet, but this might be changed. @Wonko, I leave to each member the decision if wether this feature is useful for their own case or not. As mentioned on the first post, this is a plugin. It is not a forum upgrade. Forum upgrades can't be easily reverted, a plugin is enabled or disabled without risk to the post content. I keep what I said before, the forum will just be upgraded in winter 2013 to whatever version they have available with proper testing in advance. Exception made in case of a security risk. If it grows invalid, it would be a pity but it grown invalid and gets removed. While it works, it might help some members and that is our intention when making this available. Especially if we only upgrade the forum once a year, the more chances it works for a full year. It's Christmas. Even if just one member in our community gets a single donation then I would be happy to keep it running. Remember that this is a test, if I see that nobody is really interested then of course it gets disabled with as time passes. Sure , and it has been a very nice initiative from you. The point is that IF any member actually wanted to donate something to another member, he/she would have surely found a way to do so. making a new thread like "I really feel the urge to donate something to developer XY, how do I do it?" PM the guy/gal and arrange something, what do you think that the board's Personal Messaging (or Private Messaging) system is for? To communicate personally with some other member. On the other hand, members that actually would have liked/wished to receive donations (again not butchers or carpenters) have already setup on their homepages such a feature, since a long time, and those who could not, would have made a thread like "I really need a few spare bucks, but I cannot afford a home page and/or I don't know how to put into it a link to my paypal account, why don't we have a central "donation system" on the board?" Sure, and when this happens the few people will need to get back to the PM way, so it would be better to teach them how to use that. More seriously, I doubt that having or not having an "ad personam donation system" can increase the actual probability that anyone will receive a donation. This is not just member to member, this allows members to get donations from any reader. Wether registered on the board or not. I will put this box on my profile for while to show how it works. Do you mean that someone exists that likes something published on reboot.pro so much that he/she is willing to donate to the Author BUT NOT become member of the board to post a simple "Thank you" on the related thread? I guess I could use those figures to make three travels around the known universe with the Heart of Gold (of course IF I had the Heart of Gold or if I could steal it ). Hmm.. I've enabled the box on my profile but doesn't seem to be working. Would like to hear the feedback from other members to know if this feature is working on your side or not. Please keep this topic focused on practical matters. Thanks. I cannot find a donate button in your profile. I added to my profile and cannot see the button either. Cleaning cache brought no difference. Actually the essence of my posts were of practical or rather pragmatic nature. Adding a feature that may be largely used in practice is practical . I really need a few spare bucks, but I cannot afford a home page and I don't have a PayPal account. Now that we have a central "donation system" on the board, maybe I'll look into making a PayPal account and find out if anyone cares to donate to WinVBlock or other development. I hadn't really thought about this much until this thread came along. This plugin is now disabled. I will be leaving tomorrow morning and once I get back will resume work on this matter. Let's see if this gets fixed or not. Would be nice to have this available. I'm ashamed to know you, Wonko! Don't you know, that Klingons want nothing to do with money? They will never turn off their cloaking device!!! Maybe Nuno can look for a Romulan 'Donate' button? PS: It will probably be booby traped. Who was talking of giving money to the Klingons? I was talking of negotiating with them. 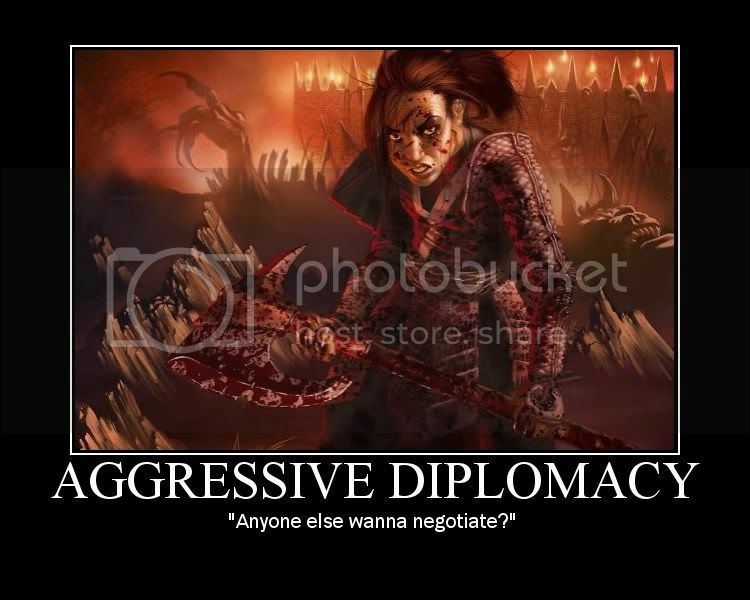 You know how good I am at diplomacy . Ok, took me a while but managed to make some progress and uploaded a new version. There is still no paypal button available on the forum topics, however the button is visible on the topics made on the downloads portal. The paypal button is configurable, you can also define the amount of value that people can contribute or leave this option as open. Please let me know how this is working for you. Would be great to have this button also visible on the forum topics but I guess that some changes need to applied elsewhere, sorry. I tried, could create my donate button. Very good, I see this is working for other members as well. I've did some changes on the forum skin, now it is showing the paypal button on forum topics as well. I've manually added the code on the "neat" theme that is visible by default to visitors. When you switch to the other theme you will see it. There is a small "security" aspect. When any user clicks the "Donate" button, he gets a page displaying your paypal registered e-mail adress as recipient. Upgrade your paypal account from "private" to "business", and then you can define what is displayed (in my case now pscEx). The upgrade is not combined with any costs or fees increase. Just an update, I've reported the defect to the developer of this modification. He is now looking into this matter within his possibilities. So, without rush we'll be seeing improvements to this feature soon.